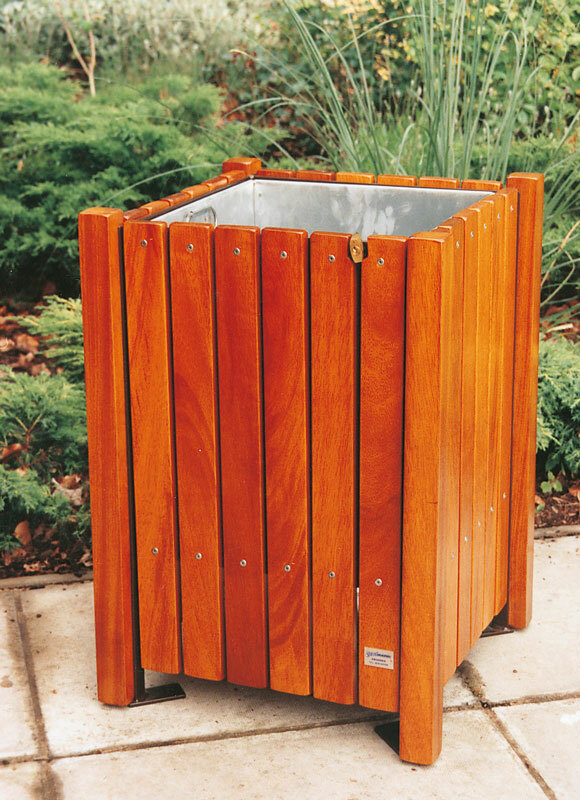 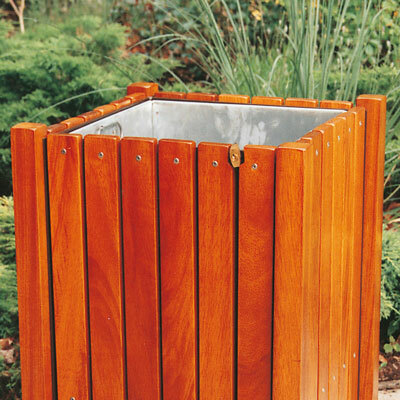 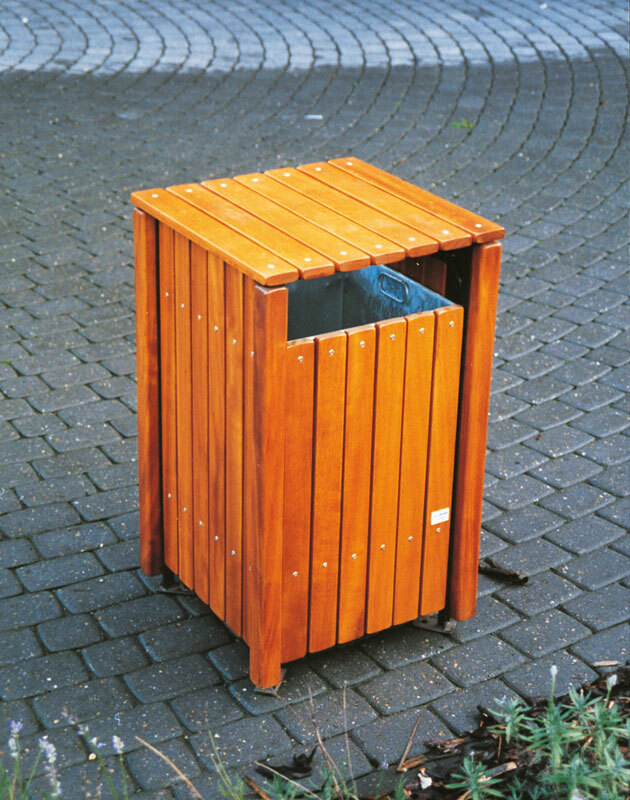 This bin is designed to complement our Traditional range of seats, and our cast iron ended products. 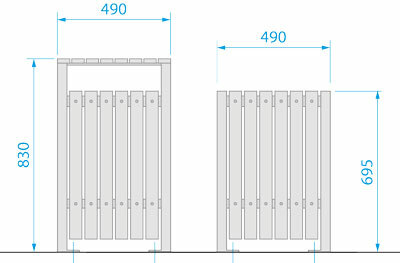 It has wooden corner posts and additional slats to give an all-wooden appearance, whilst retaining the inherent benefits of a steel framed construction. 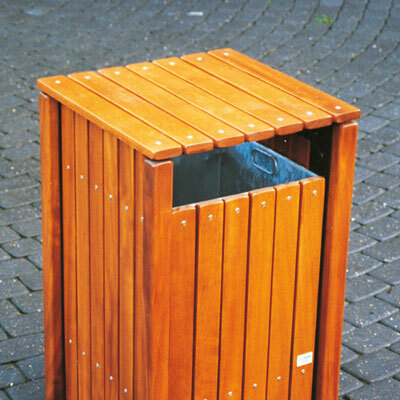 It is reasonably fire resistant, but the wooden slats on the lid can be damaged in some circumstances.